The German magazine Der Spiegel has reported that a major announcement is imminent: there is an Earth-like planet orbiting the red dwarf star Proxima Centauri; the Sun's closest stellar neighbour at 4.24 light years distance. 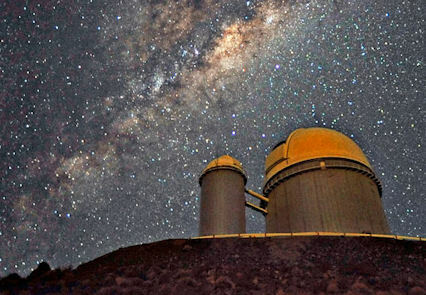 The magazine claims that the discovery was made by the European Southern Observatory (ESO) using the La Silla Observatory's reflecting telescope in Chile, based upon a leak from an astrophysicist who has been working with the La Silla team (1). Since details of the Der Spiegel leak were published, speculation has been rife that this Earth-like world might harbour life (4). After all, the red dwarf star is a little older than our Sun. This kind of dwarf star is commonplace through the Milky Way, and are known to harbour their own planetary systems. Their habitable zones are much closer to the star, as the light and heat they give off are clearly less bright than Sun-like yellow dwarf stars, but that environment could be a positive factor for life, too (5). SETI have recently started to focus attention on red dwarfs, seeking out artificial signals from 20,000 of these small stars (6). This recent focus on red dwarfs is a far cry from the time - not so long ago - when life was predominantly considered to be restricted to systems around Sun-like stars. However, it should be borne in mind that Proxima Centauri is capable of producing some strong flare activity (2), like most M-dwarfs, which might be a problem for the emergence of life. Nevertheless, an Earth-like planet orbiting this dwarf star might prove to be the best chance yet of detecting and subsequently investigating life outside the solar system. As discussed above, the 'leak' from a member of the La Silla team proved to be correct. 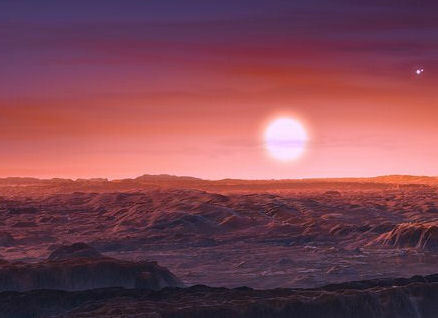 An announcement duly followed describing a 1.3 MEarth planet orbiting in the habitable zone of the red dwarf Proxima Centauri (7), with an accompanying paper published in Nature (8). Naturally, questions of whether life might be possible on such a world arise. The system's age is old enough to have allowed for life to emerge and consequent evolution to complex forms, but are conditions on the planet itself Earth-like enough? Which then leads to another important factor - whether Proxima b has a magnetic field capable of withstanding this kind of steady assault? This is very much an open question. Life might arise in an ocean which, like some of the Galilean moons of Jupiter, is encased within a protective global ice sheet. It's likely to be cold enough for a significant distribution of ice, whether the planet is tidally locked or not. Astronomers will now be wanting to get a closer look at this new planet, particularly if it transits across the face of Proxima Centauri, thus allowing any possible atmosphere it may have to be glimpsed. That's a big ask, but not impossible with up-coming technology. Very much ahead of the game, some theoretical work has already been carried out by Cuban astrobiologists addressing the potential for life to emerge on a planet in the Proxima Centauri system (11). Under the conditions imagined for such a world, the need for a photosynthesis process driven by infrared light seems to be an important requirement. 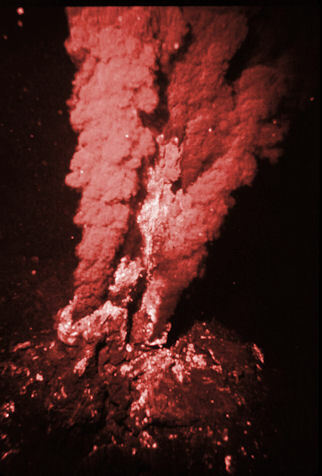 Such a process is certainly possible, as has been discovered around hydrothermal vents at the bottom of our world's oceans (12). Ironically, the very same flares emitted by the red dwarf star that might cause long-term cause erosion to Proxima b's atmosphere could also be the life-givers of oceanic biological processes. Red dwarf flares might be problematic for atmospheres, but would surely aid oceanic photosynthesis. Although true, these times assume that a craft is initially accelerated up to then settle into a cruising speed for almost the entirety of the journey. A spacecraft exhibiting the capability to constantly accelerate during its journey quickly picks up a real head of steam, and potentially could attain velocities that are in the order of a fraction of the speed of light. That spacecraft would, however, also need to decelerate during the second half of the journey so that it doesn't rush through the target star system like an express train through a sleepy rural station. That limits a spacecraft designed using current nuclear technologies to a 1000 year flight time - still a considerable saving (13)! 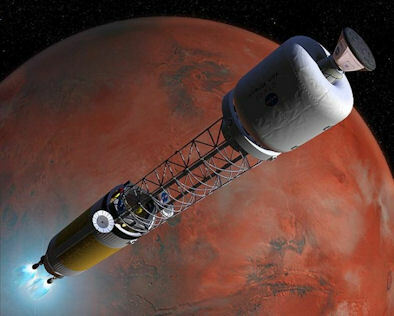 Artist's impression of a thermo-nuclear rocket decelerating towards Mars. A new Trans-Neptunian Object has been discovered whose quirkiness is breaking into new territory. This object, currently named 'Niku' after the Chinese adjective for 'rebellious', is seriously off-piste and heading in a highly inclined, retrograde motion around the Sun (1). Does this sound familiar? The retrograde motion is something which Zecharia Sitchin claimed for the rogue planet Nibiru. Niku...Nibiru. It sounds like the team who discovered this object, based at the Harvard-Smithsonian Center for Astrophysics (2), are having a bit of fun with us. Rest assured, this is not Nibiru, or anything like it. That said, something in the past interacted with this object to fling it into its strange orbital path, and at the moment the identity of that strongly perturbing influence is a definitive 'unknown'. Additionally, Niku's discovery has prompted the astrophysics team to consider a new cluster of objects (high inclination TNOs and Centaurs) which appear to share the same orbital plane. This, in itself, is an unexpected and exciting development. Could the influencing factor be the mysterious Planet Nine (3)? 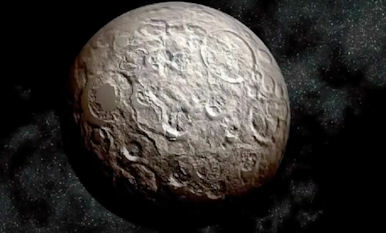 Dynamically, Niku is very similar to an object described in 2008, which also moves the wrong way round the solar system. This Kuiper Belt Object is known as 2008 KV42, nicknamed Drac due to its vampire-like ability to walk on walls, also has an inclination greater than 90 degrees, which creates the retrograde motion (4). It is thought that this KBO originated from the inner Oort Cloud, some 2000-5000AU away, and is in a transitional phase prior to becoming a Halley Comet-like object. In which case, the next logical question to ask is what knocked these objects off their perch in the inner Oort Cloud, sending them into this highly inclined cluster of orbital paths in the vicinity of the Edgeworth-Kuiper Belt? Is this a hint that the orbital path of Planet Nine, itself inclined to the ecliptic by about thirty degrees (5), might extend far enough out into the outer solar system to skirt the inner edge of the Oort Cloud? If so, then this could explain this perturbing effect, but also extend the aphelion distance of Planet Nine out far further than currently thought. The implication of this, if we follow this argument to its natural conclusion, is that Planet Nine's mass would then be far greater than the ten Earth masses currently anticipated for it. Otherwise, it would be incapable, at these greater average distances, of pulling up the anomalous cluster of Sednoids (6) into the extended scattered disk beyond in the first place. Although the press release by the Canada France Ecliptic Plane Survey discusses a possible migration between the inner Oort Cloud and the Kuiper Belt, it does not specify how such a movement may have been initiated (9). So, according to Dr Brown, Drac was originally a Centaur object located between Jupiter and Neptune, which was dragged out into its perpendicular, retrograde orbit by Planet Nine, presumably when near perihelion. Perhaps he has not yet considered that it might have pulled Drac in from the inner Oort Cloud? 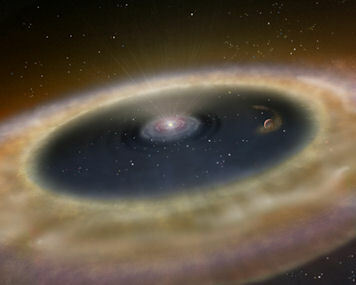 As more rocky exoplanets are discovered orbiting neighbouring stars, questions are now being raised amongst academics about whether there are sufficient numbers of warm protoplanetary disks observed around young stars to statistically account for them all. The solution to this glaring dilemma advocated by Scott Kenyon, of the Harvard-Smithsonian Center for Astrophysics, and his colleagues, is that the speed with which planets form from the dusty disks surrounding very young stars is much quicker than thought - allowing more planets to form in the potentially shortened time these disks are in place. Either the low incidence of warm dust disks needs to be explained, or the large quantity of rocky planets must be accounted for in other ways. Bear in mind that the number of rocky planets being discovered is likely to be the tip of the proverbial iceberg, as the technology to detect small planets continues to improve year on year. I'm quite convinced that the planet-forming process is not limited to accretion within swirling dust disks around young stars, but that it is an ongoing process within a variety of environments. As planetary scientists think hard about the anomalies being thrown up by exoplanet observations, I hope that progress will be made towards a new model of planet formation: One that may lead to the formation of planets beyond the traditional planetary zones of stars. A couple of brown dwarfs have been discovered in a close binary system some 240 light years away, whose two stars circle each other at a distance of about 19AU, similar to that of Uranus around the Sun. The two new exoplanets orbit close to the primary Sun-like star HD 87646 (1). 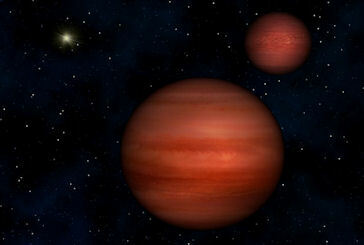 These two sub-stellar companions are HD 87646b, which is a minimum 12MJupiter sub-brown dwarf (a 'hot Jupiter'-type exoplanet) orbiting every 13 days just 0.117AU from the star (2); and HD 87646c, which is a 57MJupiter brown dwarf circling the star every 673 days (1). 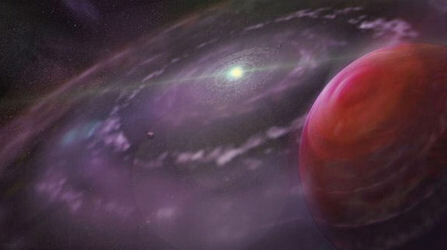 The orbital eccentricity of the brown dwarf is greater than that of the inner sub-brown dwarf, which is in keeping with other observations of brown dwarfs orbiting stars. "Given the fact that HD 87646 is the first known system to have two massive substellar objects orbiting a star in a close binary and the masses of the two objects are close to the minimum masses for burning deuterium and hydrogen, these peculiarities raise questions about the system's formation and evolution. 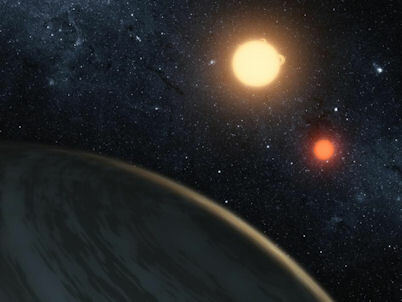 Given the large number of substantial exoplanets and brown dwarfs discovered over the last couple of decades, finding a couple more in a close binary system may not seem so surprising. We've got used to the fact that the classical planet-forming model, which described how the solar system came about so well, simply does not apply to the diversity of planetary systems emerging from the ballooning exoplanet data (now >500). According to the core accretion model, the nature of the close binary system should create problems for giant planet formation, because gravitational perturbations inhibit the growth of planetessimals in the protoplanetary disk, meaning that the formation of a planetary core is slowed down. The dust disk will essentially dissipate before the planetary core can amass gaseous material around it to form a gas giant of brown dwarf. Furthermore, given the sheer size of these brown dwarf companions, the initial disk would have to be massive to have formed them. This isn't generally seen in young close binary systems, meaning that the disk should have dissipated way faster than the time required for giant planet formation (1). This is a similar issue to that recently raised for rocky planet formation (4). Another theory of planet formation relies on disk instability, which doesn't suffer the same problems in this case as the core accretion model. The authors are, however, cautious of advocating this mechanism for the complex HD 87646 case as it's not clear whether disk instability can be triggered in the presence of a close stellar companion (1). The planet-forming mechanism in this case remains a mystery, although the authors do offer ideas about the migration and scattering of these companion objects post-formation. An alternative which would not have been considered by mainstream astrophysicists is the radical model of planet formation proposed by the French engineer François Berguerand, whom advocates the action of a passing star to draw out a spindle of stellar matter from a young star. This spindle of dense matter then separates out into gaseous planets (5). This close binary system would seem to provide the perfect opportunity for the drawing out of such matter to create the substantial brown dwarf companions for the primary star. I've written to François for comment. Perhaps also of some relevance to the case of HD 87646 is the recent announcement of a 30MJupiter brown dwarf discovered lurking within the inner hole of a dust disk encircling the star HR 2562 (6). At 1.3 MSun, the masses of these primary stars are essentially the same. Although the presence of the circumstellar disk would seem to imply a youthful star, the age of HR 2562 remains a subject of some debate. It's thought to be about 600 million years old, based upon evolutionary models. The disk spans from 38 to 75 AU away from the host star, with the brown dwarf, designated HR 2562B, located some 20AU from the star (7). This is a similar distance as the secondary star in the HD 87646 binary. "Intriguingly, our solar system looks unusual... because it has rocky planets as well giant planets that are relatively calm in terms of their orbital dynamics, but no debris disk. I consider this event to be the result of the infiltration into the planetary zone of a rogue sub-brown dwarf object which, I believe, still remains undiscovered in the outer reaches of the solar system. 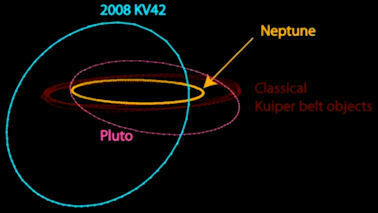 Its presence has indeed eliminated much of the Kuiper Belt, and created the 'Kuiper Cliff' at about 50AU. By contrast, what we have in the case of HR 2562 is an inner brown dwarf, surrounded by an outer circumstellar disk. This would then imply that the bulk of the system's rocky material - asteroids, terrestrial planets, planetessimals - lies beyond the the reach of a substantial inner sub-stellar companion. Or is it actually an example of the way a sub-stellar companion can 'sweep out' a region of space? In the case of our solar system, this is what I believe has occurred between the Kuiper Belt and the inner Oort Cloud (i.e. between 50 and 2000AU). The Antidote to Dark Matter? 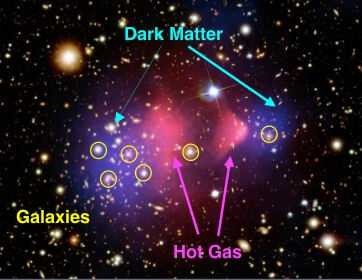 The gravity effects created by this missing dark mass can be seen through gravitational lensing effects, X-ray emissions from hot gas within galactic clusters (as well as an unexpected scattering of their radial velocities). To explain it, cosmologists have come up with a theoretical form of matter which does not interact with the electromagnetic spectrum at all. The best direct evidence for this so-called 'Dark Matter' is thought to derive from two colliding clusters of galaxies known as the Bullet Cluster (5). By definition, dark matter is unobservable directly, and thus ultimately unprovable - until the day particle physics pops it out of a hat (or suitably massive particle accelerator). This all sounds a bit like pseudo-science, doesn't it? Dark Matter conveniently plugs a huge hole in cosmology. So, an alternative possibility is that a huge quantity of unaccounted 'normal' baryonic matter is out there, but not to be found in visible stars, nor in enormous gas /dust clouds. This missing matter (which is 'dark', but not actually exotic) would therefore be diffuse, and broken into bite-sized cosmic chunks which slip under the observable radar. Like cool, free-floating gas giant planets moving through the vast gaps between stars, for instance. 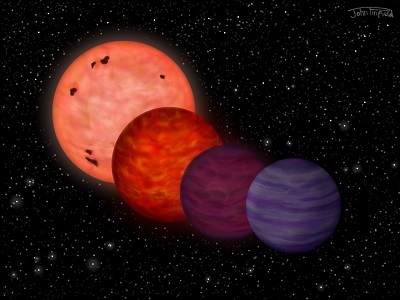 These might be as large as failed stars - ultra-cool brown dwarfs, up to old red dwarfs. Could this help solve the mystery of the missing 90% of the mass of the universe? "Another durable suggestion has been that a major part of the missing mass in galaxies and clusters of galaxies is made up of very low mass stars. These stars, which would have masses of only a few percent that of the Sun, are red, brown, and black dwarf stars. These stars are very dim because of their small size and low surface temperature. The red dwarfs, which have a mass of 10 to 50 percent that of the Sun, are known to be very common in the solar neighborhood. Of the 90 nearest stars to the Sun that have been classified, 62 of them are red dwarfs. Red dwarf stars produce intense radio, optical, and X-ray flares. This property should make it possible for advanced X-ray telescopes, working in concert with the Space Telescope, to attack the question as to whether 90 percent of the matter on the edges of galaxies is in the form of red dwarf stars. Just because these objects might not be immediately obvious in our stellar neighbourhood, does not mean that they are not abundant elsewhere, of course. But, how could so many of these objects have formed? I would argue that such a radical model implies a completely different model of planetary formation in interstellar environments, as well as a mechanism whereby these interstellar planets tend to migrate out to the edges of the galaxy over time. Right now, such ideas seem out of favour in the astrophysics community, despite a far more concrete understanding of the nature and prevalence of ultra cool brown dwarfs, free-floating planets, and so on. This is likely because a good understanding of how many such objects form in the first place remains elusive - beyond the undoubted potential for some giant planets to be ejected from their parent systems early in the standard planet-forming process. But this seems insufficient to account for the need for thousands of such objects for each star, unless they could actually be forming independently in interstellar space. I'm personally quite intrigued by such an idea, and would like to further this concept into a more credible mechanism in the future. We'll see. So, according to this theory, much of the missing baryonic mass does indeed seem to be extra-galactic, and strung out into hot, plasma filaments of unbelievable proportions (7). Is this more credible than a dark halo of 'lost' failed stars and ejected planets? Or could there be a connection between the two, where these hot plasma filaments are a source of non-stellar planetary formation? If we return to the interstellar planet idea, then would the interstellar space between stars not also contain a far greater number of these kinds of objects than previously thought? Results from infra-red sky surveys like WISE would tend to cast doubt on such a possibility - at least for the hotter end of the failed star spectrum, anyhow. In which case, the distribution of this dark interstellar planetary mass would need to be predominantly Jovian and lower. An additional repercussion here would be a far greater rate of influx of such objects through the solar system during its lifetime. After all, if interstellar space contains a great number of independent planetary bodies, then it stands to reason that the chance of one grazing the solar system over time increases accordingly. This would help to explain the origin of the fabled planet Nibiru, one might argue. 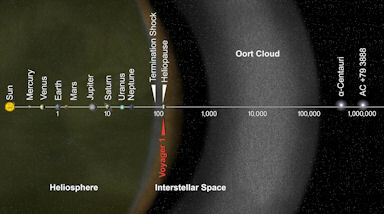 There seems to be a real problem with the population of small comets, particularly those less than 100m diameter. 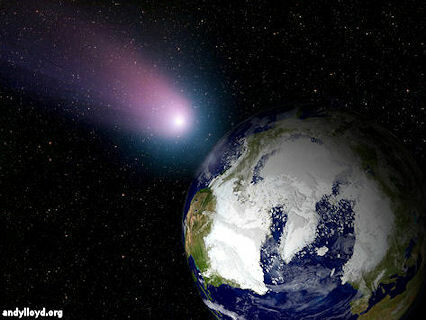 Small comets of about 10m diameter were thought to be entering the Earth's atmosphere routinely, but radar surveys completely failed to detect them (10). These kinds of icy objects had been thought to have supplied the Earth with its oceanic waters over time, but this 'late veneer theory' has become increasingly troubled as scientific knowledge about comets, and their prevalence (or lack thereof), has advanced. So, comets seem to be of declining importance in terms of population in the solar system, and beyond. Perhaps a much greater population of dark planet-sized objects out in interstellar space is having an effect upon these populations - shepherding them, and regulating their surprisingly low numbers. I wonder whether they're wrapped up into the process of continuing accretion, which I've been proposing lately (11), as the building blocks that these scattered planetessimals are considered to have once been.